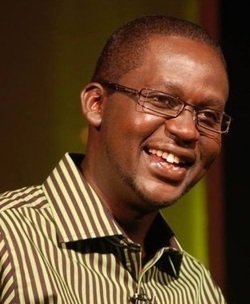 Daniel "Churchill" Ndambuki is a Kenyan comedian who hosts the comedy TV show Churchill Live on NTV Kenya. Churchill is married and was born in Machakos town. He has worked in the comedy industry since 1996 and has now become a household name in Kenya. He has over 230,000 fan base in social network Facebook.